Professor Pullicino, a consultant neurologist for East Kent Hospitals and Professor of Clinical Neurosciences at the University of Kent, was speaking to the Royal Society of Medicine in London. He said: ‘The lack of evidence for initiating the Liverpool Care Pathway makes it an assisted death pathway rather than a care pathway. The LCP was developed in the North West during the 1990s and recommended to hospitals by the National Institute for Health and Clinical Excellence in 2004. 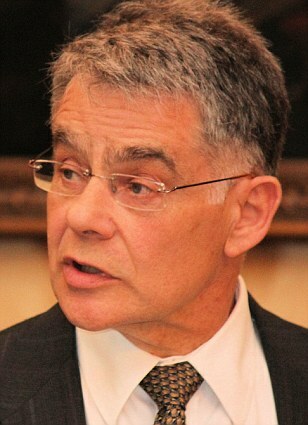 Experts including Peter Millard, emeritus professor of geriatrics at the University of London, and Dr Peter Hargreaves, palliative care consultant at St Luke’s cancer centre in Guildford, Surrey, warned of ‘backdoor euthanasia’ and the risk that economic factors were being brought into the treatment of vulnerable patients. Professor Pullicino said the patient was an Italian who spoke poor English, but was living with a ‘supportive wife and daughter’. He had a history of cerebral haemorrhage and subsequent seizures. A Department of Health spokesman said: ‘The Liverpool Care Pathway is not euthanasia and we do not recognise these figures. The pathway is recommended by NICE and has overwhelming support from clinicians – at home and abroad – including the Royal College of Physicians.